Uber has taken 2015 by storm. Uber closed USD $1.6 billion in convertible debt, received from Goldman Sachs Investment Bank’s wealth management clients. This enormous sum of money, added to earlier capital amounts totaling USD $3.3 billion, have already turned the transportation application from San Francisco into the start-up with the highest investor-based capital of all times. Uber, which was never IPOed, is already worth USD $41 billion. So, why is it still raising so much capital? Because conquering the world is a very expensive business. At the beginning of 2014, the company operated out of 60 cities in 21 countries; by the end of the year, using the application, its services were already available in more than 250 cities in 50 countries. Six years after its establishment, the company’s goal is clear: to enter every possible market in the world, before local competitors join the game. In its most basic version, Uber is simply an application that enables users to order a taxi. But it has another version: UberX, which enables each user to become a taxi driver, using his/her own private vehicle to sell transportation services to other users. This version has transformed Uber into the most successful symbol of the new “peer-to-peer economy” – one of today’s hottest concepts (including the “Times” January cover story on the subject). The basic idea is simple, and is currently spreading from industry to industry: in today’s new world, anyone can become a service provider – by sharing his car, home or time with strangers, in exchange for payment. All you need is buyers, sellers, and an application that connects them. The free market does the rest; and the application that conquers the market first, wins: winner takes all. This is the reason why Uber continues to expand to more and more countries, often elegantly ignoring regulations and operating its services before receiving a license authorizing it to do so. Some may see this behavior as a form of daring initiative that will benefit the company. Prof. Mohanbir Sawhney, on the other hand, is certain that it is more a case of a lack of restraint that will eventually blow up in Uber’s face. “It’s hubris, Silicone Valley arrogance. They think ‘these are the rules of the old world, and we can do whatever we want. We are rebels’. But they will discover they cannot do whatever they want. Even rebels and revolutionaries need to operate according to the rules. You can’t just do whatever you want. You are still operating within an environment that has laws, and you need to be sensitive to this”. This is Prof. Sawhney’s first lesson in peer-to-peer economics: You can’t do whatever you want; a wise and respectful regard for the environment is the starting point. There is no partnership here; it’s a matter of asset leveraging Sawhney, born in India, is the Director of The Center for Research in Technology & Innovation at the Kellogg School of Management, a prestigious institution affiliated with Northwestern University in Chicago. He researches the interface points between innovation, marketing and technology, and provides big companies with consultation services – from Microsoft and IBM to Boeing. Our conversation with him begins in Israel, at the beginning of January. He is here in order to teach managers at the Kellogg-Recanati MA program in Business Management, at Tel Aviv University’s Faculty of Management. We live in a country that has been relatively slow to adopt the peer-to-peer economy model, but Sawhney believes that it will happen: throughout the world, he says, this revolution is just beginning. This is also apparently the belief of the private investors and large investment institutions that transferred funds to Uber and its sister companies, amounting to billions of dollars this past year. Sawhney is familiar with peer-to-peer economy from all angles: as a researcher, a consultant, a buyer, and a seller. He is an enthusiastic user of Uber transportation services and various other peer-to-peer applications. He enthusiastically tells me, for example, about his son, who sits in his room in Chicago and receives Punjabi (a language spoken in India and Pakistan) lessons from a housewife in India, via a peer-to-peer company (Cultureallay, established by of a former student of Sawhney Sr.). In addition, Sawhney rents a vacation unit located in back of his house through AirBnb, another peer-to-peer economy icon. 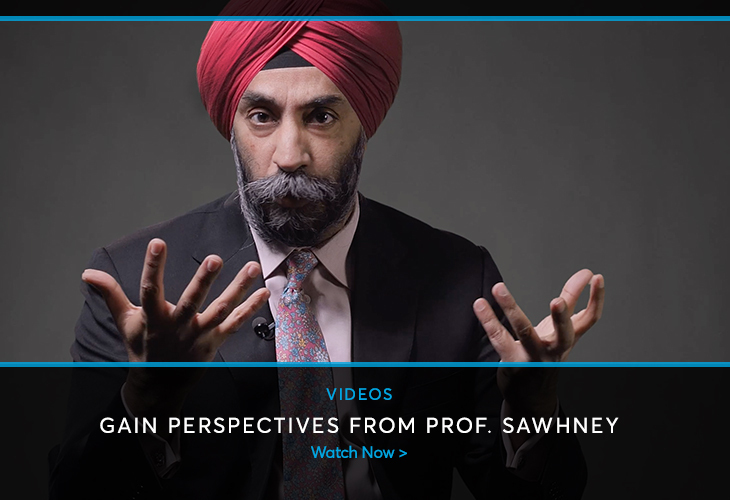 Sawhney understands peer-to-peer economy as a user, and defines it as a business expert: “The insight behind peer-to-peer economy is that there is a great deal of unutilized capacity, in every industry and every market, and sometimes even hidden capacity. For example, let’s say I have an unused room in my house. I never knew that I could rent it out. Then suddenly, through a site like AirBnb, it becomes a hotel room. This hotel room joins the market, and it seems as though it had never existed before. Or imagine I am a student studying from 9 to 5, and then decide to drive for Uber between 7 and 9. This is a pocket of hidden capacity that suddenly enters the market: I didn’t exist previously as a taxi driver or as a hotel room owner, but now I bring my supply to the market”. The term “peer-to-peer economy” was born out of an idealistic vision – one of community activity and a desire to conserve resources. If I live near you and my work is near yours, why not go together? If I have a free couch, maybe I can let a weary tourist sleep on it for a night? All you need is a site to bring us together. This spirit of fraternity and ecological awareness characterizes very specific versions of this idea; however, the more successful versions are the ones in which money changes hands and the mediating site cuts the coupon. From this point of view, “peer-to-peer economy” is a slightly misleading concept. “I don’t necessarily like this term,” Sawhney admits. “If I live in Chicago and I have a vacation home in Florida, which I decide to rent through AirBnb in an attempt to make a profit, is that a partnership? No, it’s simply another mechanism that produces asset-generated income. The broader idea is to make markets more efficient by finding creative supply and demand matches”. Sawhney doesn’t see peer-to-peer economy as a passing trend, but rather as “a very important phenomenon”. The explanation for this is based on one of his fields of expertise – marketing. 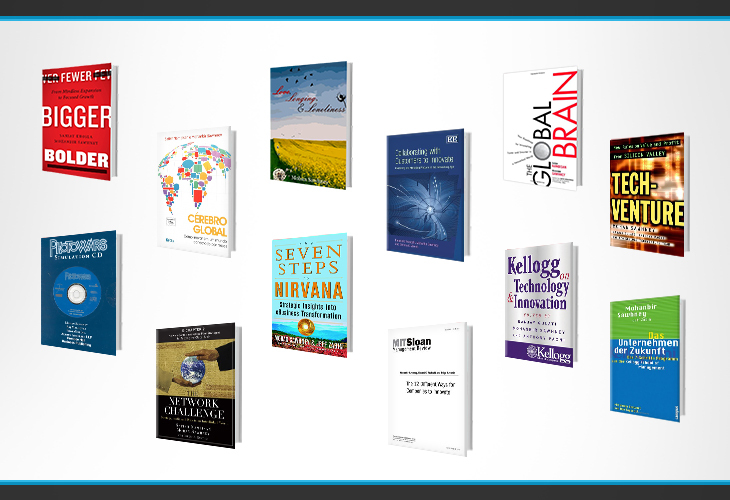 “These companies enter markets where there is a lot of room to improve the user’s experience. Uber, for example, doesn’t just provide a cheaper or faster way to travel. It provides a much better customer experience: I know who’s going to pick me up, I know where he is at the moment, I know how much I’m going to pay, I don’t need to take out a credit card, and I can easily split the fare with other passengers. AirBnb, from its point of view, doesn’t just provide rooms for rent – it offers rooms in a castle, a tree house or in an apartment with a kitchen. AirBnb has brought new accommodation categories to the market; Uber has brought us new types of drivers and vehicles. Both offer a new type of experience. In fact, they provide answers for needs that traditional suppliers couldn’t provide. So, not only do they make the market more efficient, from an economic perspective, they also improve the user’s experience, which is very important”. This is the reason, he says, why the phenomenon will continue to expand – it offers a new experience to the giant markets: “When you examine the size of the relevant market, for example the taxi market, and calculate how many trips people purchase per year, worldwide, we understand that we are talking about hundreds of billions of dollars. That’s why Uber’s market value is so enormous, and the same goes for the hotel industry”. To what extent do peer-to-peer economy companies enlarge the market, and how much of the senior players’ market share will they consume? “To a certain extent, it’s a matter of cannibalism. These companies expand the market’s supply services and perhaps also the demand, but it’s true that today there are less taxi drivers”. Sawhney quickly emphasizes that we are talking about a development that may provide all of us with additional employment, or at least almost everybody. He explains, for example, about Uber’s entrance into the Indian market this past year, and the difficulties it entailed, until the service was outlawed in Delhi for one month. “The last time I visited India, I heard a story about a young man who worked as a driver for a funeral home, driving bodies to the crematorium. This is dirty work, you work all hours, and he was paid 5,000 rupees a month. With Uber, he earned 90,000 a month. He bought his own car, with an air conditioner. After they closed down Uber, he went back to driving bodies. So, you need to remember that these types of services can change people’s lives. They can raise their earning ability 10 or 20 times over. What needs to happen, and in my opinion what will happen, is that the taxi drivers who provide bad service and stick with the traditional customer service approach, will be hurt. Other drivers will join, and are already joining, Uber. Therefore, this cannibalization will harm people who don’t change; this is natural selection. This is Darwinism”. So, who are these people who offer their services in this Darwinist game of peer-to-peer economy? What makes everyday people decide to devote several hours a day to driving people around, caring for their gardens, sending their packages or teaching their children? And what causes others to entrust their main source of income to companies like Uber or their competitors, Lift? According to the optimistic version, we are talking about people who know which way the wind is blowing and are simply displaying an initiative spirit in the new world. According to the less positive version, we are talking about desperate people who have been pushed to offer their services on the Internet as a result of the economic crisis and ever-increasing inequality, and are willing to work – without any employees’ rights, social conditions or employment stability – a sad reality hiding behind the slogan of partnership. In other words, people who offer their services in peer-to-peer economies are being exploited. “I also had an idea like that, once,” says Sawhney. “There’s a site called crowdSPRING, operating out of Chicago, a market for creative people. If you want someone to design a logo, a book cover or a website for you, you can find 150,000 people waiting to offer their services. I wanted to design notepaper for my consulting company for $300, and I asked them to send me some designs. Within 72 hours, I got 100 different offers. And then I thought: ‘Who are all these people?’ The expected value in the competition to supply me with this service is $3 – this is the real meaning of a one-in-a-hundred chance to win a $300 work project. Then I thought: ‘Am I exploiting these people?’ But at the end of the day, I understood that this is the free market. No one is forcing them to participate in this economy. Thus, I claim that the guy earning $20 an hour driving for Uber – without any social rights – is still better off than he was two months ago, when he was unemployed. He has a choice – he can decide not to participate and, if a better opportunity comes along, he can take it. So, I don’t really identify with those who say that these people are being exploited. It’s a free market; people have opportunities, and if better opportunities come along, they’ll either go for them or raise their prices”. Nevertheless, employees in the West have succeeded, through ongoing efforts, to create some protection against the market powers, to ensure some rights for themselves, and now they’re being ruined. “This is a statement I can understand. It’s true that the companies controlling the market have too much power, including the Ubers of the world. In Uber, if your ranking as a driver falls below 4.5 stars, they kick you out. This is very harsh: ‘Sorry, you’re out’. There’s no union to turn to, there’s no hearing process. In the past, the vacation unit in my backyard, which I rent out once in a while, earned me $1,500 a month. Since AirBnb, I get $2,700 a month. Now, imagine that the website owners decide they no longer like me or decide to delete me from their database. Where do I go from there? I mean, for all practical purposes, they’re a monopoly. And this is the scary part: These companies have so much market power, and there is no counterweight, system of balances or safety net regarding the random business procedures they decide upon. From the point of view of the sellers’ bargaining power, this is definitely something to worry about”. In other words, and this is a well known phenomenon, in regard to sites that link sellers with buyers, the one that manages to accumulate a critical mass of users usually tends to take the entire market. Anyone else who wants to sell or buy needs to work through this site. This is what is referred to as the “Net Effect”: when the middleman becomes a monopoly. However, Sawhney makes a point of saying that this isn’t so simple, not a rapid or easy process in the least. Even Uber, he says, still isn’t really a monopoly. “The possible mistake of these types of services is to assume that one size fits all. In India, for example, there’s a local company called Ola Cabs, which is more successful than Uber. In Europe, there’s a company that competes with AirBnb called HouseTrip. These sites are strengthened by the Net Effect, but it only works at the city level. I don’t care how many taxis Uber has in San Francisco; I care how many it has in Chicago, the city where I live. Therefore, when they enter Delhi, Vietnam or Tel Aviv, they start from zero, despite their brand name. In fact, there’s an opportunity here, and I would advise local players, smart entrepreneurs, to imitate the model and create a local version. Even though it’s clear what will happen next: Uber will buy them out”. So we’re back to the monopoly scenario. Do you see the regulators intervening? I do think the authorities will intervene; this usually happens with every technology company. It happened to Google, and before that to Microsoft. These companies don’t deal with regulation or public policy; they don’t employ too many lawyers, until the day when they get reprimanded. In the end, the business curtailment authorities will wake up and understand that we are talking about a big enough player acting in a monopolistic manner, who requires supervision”. Peer-to-peer economy companies change the rules of the game – not only for buyers, new services suppliers, and the old, small services suppliers. That is to say, it isn’t only the veteran taxi drivers who need to prepare themselves for the new situation. Business giants in the same markets also need to ready themselves. “In my opinion, the big players need to adopt the phenomenon,” says Sawhney. “For the past few years, for example, I’ve been working with Hyatt Hotel, and I told them: ‘You know, you need to put your assets into AirBnb or you need to understand how to create this type of platform for yourselves. You have enough traffic on your website, you have properties. Imagine if Hyatt were to create home-away-from-home properties with the Hyatt stamp, which could be achieved, let’s say, by sending out a team to check that the property you’re advertising has the Hyatt look and feel’. In the same way, why shouldn’t the taxi companies create an application that could compete with Uber? There are ways in which the existing players can adopt these capabilities, but they are stuck – like a deer caught in the glare of the oncoming car’s headlights. They think ‘this technology is ruining our business, so let’s try to close AirBnb by turning to the legislators’. My recommendation to them is ‘create your own disruption’. The problem is that, traditionally, disruptions come from outside, and it is extremely difficult for the existing players to ‘sabotage’ their current business model by themselves”. So, why? To some extent, it’s a matter of arrogance; for example, a chain like Hyatt may say that AirBnb is only for hippies who want to sleep on an inflatable mattress and ‘that’s not our market’. Yet, disruptive technologies always come from the bottom, up: they start with an inferior product, which is initially responded to with ‘that’s not who we are’. However, the new competitor slowly starts to improve and now AirBnb provides really good properties. So, it’s partly a matter of pride, and it’s also the fact that existing players don’t want to offer new services that may harm the fruits of their cash flow. They also move too slowly. This combination of factors almost always means that the existing players won’t be flexible enough”. What’s interesting is that the process you’re describing has been taught in Business Management schools for the past 20 years, and all of the senior managers should be very familiar with it. “I also wonder about that, sometimes. When large organizations grow, they also develop a lot of inertia. On an individual level, people within the organization may understand this dynamic. It’s not that we didn’t teach people at Hyatt or the giant taxi companies about disruptive technology. However, inertia is so strong a force, that even an enlightened leader who understands what’s happening is usually unable to act quickly enough or persuade his business partners, brokers, distributors, dealers, and employees. There’s a lot of equipment that needs to be moved. Yet, I still wonder about it. People in these companies aren’t stupid, but companies sometimes do stupid things”. So, what’s next? In which fields will we be able to enjoy peer-to-peer economy, as buyers or sellers? “Medical services”, Sawhney begins, with a surprising example. “As a matter of fact, there is already a start-up moving in this direction. Imagine that I’m a physician and I discover I have a window between 12 and 2. I put myself on ‘Find-a-doctor.com’. At the same time, you discover a mole on your skin and think someone should have a look at it. You get into the site, find doctors in your area, choose one according to his ranking, and perhaps begin a video chat with him. I think the next thing in peer-to-peer economy will be the provision of various types of services. Maybe I’ll do laundry for you, prepare hot meals for you, tend your garden or take care of your medical problems. In this way, peer-to-peer economy can be the outsourcing economy. I think this is where the next revolution will occur”. What kind of a world will it be where we are constantly being ranked and have to use every moment of our time to increase our income? “There’s no doubt that this type of reality will be more competitive and stressful, but it will also lead to increased transparency and responsibility,” says Sawhney, as he admits that he also finds himself waiting – each time in anticipation – to discover what ranking his last guests gave him on AirBnb and how it will affect his average ranking on the site. “But I think it helps everyone, and I don’t mind if they rank me. In general, people are fair, and the fact that these types of rankings bring more transparency and responsibility to the services we provide and use is a good thing. Every time I travel with Uber, I think: Should I give the driver 4 stars? It isn’t such a great experience, but I understand that if his ranking falls below 4.5, it will really harm him, so I tend to be a bit more lenient. You know what? I’ll give him 5 stars. This needs to be researched further, but in my opinion, when people understand the consequences of ranking, and know they too will also be ranked, they become more generous”.